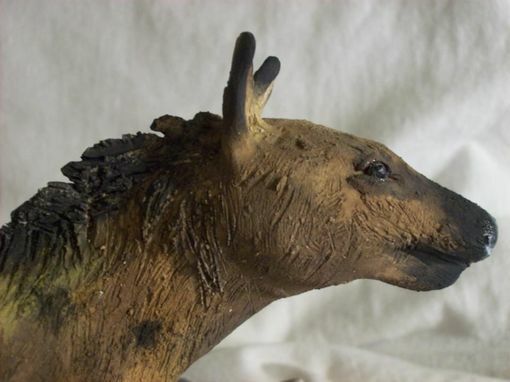 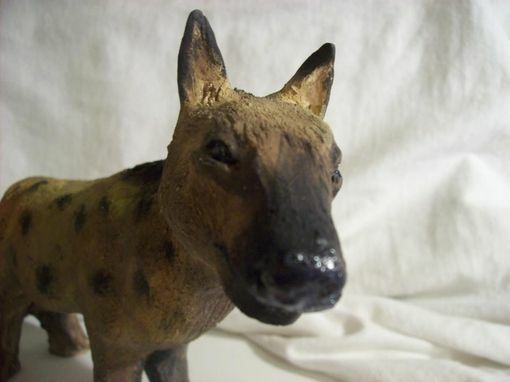 This is a small sculpture of a hyena. It is crafted from clay and painted with acrylic. 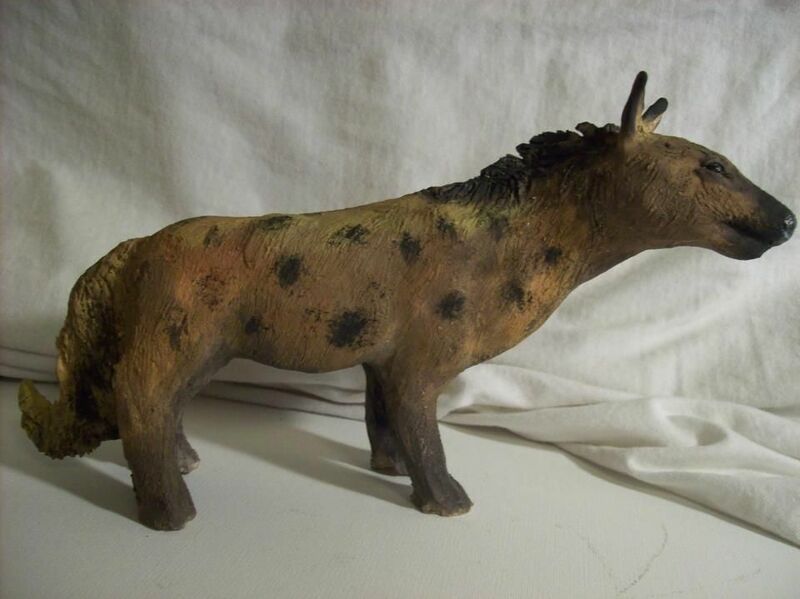 It is highly detailed and anatomically correct He is quite the character!